Home » Featured » Mashaal Radio shutdown: Is Pakistan suppressing foreign media? Mashaal Radio shutdown: Is Pakistan suppressing foreign media? The shutting down of a US-funded Pashto-language radio station has raised concern over Pakistani authorities clamping down on free speech and Western media outlets in the country. Shah Meer Baloch reports. Many journalists, politicians and activists view the move as a crackdown on free speech and the Western media in Pakistan. Launched in 2010, Radio Mashaal is the local name of the US Congress-funded Radio Free Europe/Radio Liberty’s (RFE/RL) Pashto-language service in Pakistan. It was introduced as a public service to counter the extremist narrative of the Taliban in Pakistan’s mountainous regions that border Afghanistan. Foreign media rarely gain access to these areas. ISI alleged that Radio Mashaal’s programs portrayed Pakistan as a hub of terrorism and a safe haven for militant groups, propagated an image of Pakistan as a failed state in terms of providing security to its minorities and Pashtuns, showed the Pashtun population of Khyber Pakhtunkhwa (KPK), Federally Administered Tribal Areas (FATA) and Baluchistan as being disenchanted with the state, and distorted facts to incite people against the state and its institutions. An essential source of information? 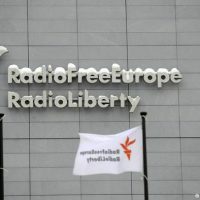 Insisting that Radio Mashaal serves no intelligence agency or government, RFE/RL President Tom Kent clarified that it is an essential source of reliable, balanced information for its Pakistani audience. Mir Mohammad Ali Talpur, a Pakistani activist and columnist, told DW that this is another attempt by the Pakistani state to curb free expression of opinion that does not coincide with the official narrative. “It is indeed a crackdown not only against the Western media; all opinions counter to the Pakistani narrative will be punished,” he said. Talpur and Mohammad Taqi, a Pakistani-American columnist, were stopped from writing for the Daily Times in November 2015 because their writing was considered “anti-state” for exposing injustices in KPK and Baluchistan. Taha Siddiqui, a journalist and France24 correspondent in Pakistan, says that the crackdown on Western media has intensified since 2013, when a former New York Times Islamabad bureau chief, Declan Walsh, was deported from Pakistan without sound reason. Siddiqui himself escaped an abduction attempt by unidentified armed men on January 10, 2018, in Islamabad. The government’s move came after relations soured between Pakistan and the United States, which suspended nearly $2 billion (€1.63 billion) in military assistance after accusing Islamabad of supporting Taliban militants causing chaos in neighboring Afghanistan. The US State Department has “expressed concern” over Radio Mashaal’s suspension and has “demanded that the transmission be restored immediately.” Siddiqui explained that the government is helpless against the deep state, namely the ISI, which wants to control the Western media as it does local news agencies. Senator Afrasiab Khattak, a senior leader of the Awami National Party, has said that controlling the media and restricting free speech is detrimental to democracy. “We can’t become a democratic state until we promote free speech,” he told DW. Yet, experts believe that the state controls much of the Pakistani media via financial restrictions and other means, but resorts to propaganda and clampdowns when dealing with foreign media. Meanwhile, Yasir Shakil, the interior ministry’s public relations officer, said the suspension was due to the 7-year-old service’s failure to fulfil licensing formalities. “It has not received approval from the Pakistan Telecommunication Authority (PTA), nor has it gotten clearance from the Pakistani intelligence agencies to operate within Pakistan. It has also not followed Standard Operating Procedures (SOPs) and was involved in reporting against our national interests. Therefore, on the recommendations of ISI, we suspended its services,” he told DW, while refusing to comment on whether this was a crackdown. However, RFE/RL has been documenting increased threats against Mashaal journalists over the past two years. Freedom House, a US-funded watchdog, has designated Pakistan as “not free,” while the Committee to Protect Journalists ranks Pakistan as the fifth-deadliest country, and the most dangerous country in South Asia for the media and journalists.